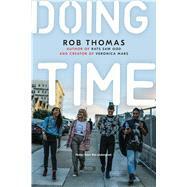 Rob Thomas, creator of Veronica Mars, revisits Slave Day’s Robert E. Lee High School in this short story collection filled with provocative, clever humor and surprises at every turn. Each student at Robert E. Lee High School is required to perform two hundred hours of community service in order to graduate. Their responses to the assignment are as varied as the organizations for which they volunteer.